This 2-Part Buyers Guide has adhesive tape on both the top and bottom for a superior hold in any temperature. Easily sticks to car, truck and SUV windows. 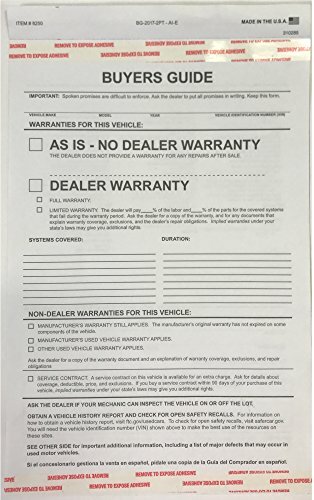 This forms contains the AS - IS -No Warranty and the Warranty check boxes. Be sure every one of your cars has a buyers guide. These forms are made with pride in the USA! *Adhesive may damage aftermarket inside window tinting. 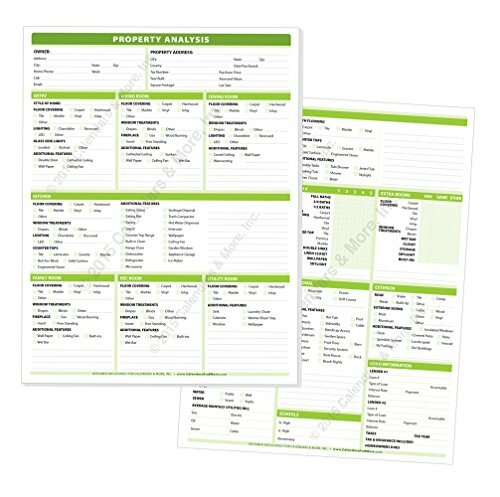 Property Analysis Worksheet Pad Designed and developed for Calendars & More, Inc. The Property Analysis worksheet provides a complete checklist for incorporating all of the features of today's residential real estate. 50 pages per pad. Worksheets are not hole punched. Provides a complete checklist for incorporating all of the features of today's residential real estate. Worksheets are not hole punched. Designed with the help of real estate agents to include all the options you need when reviewing property. 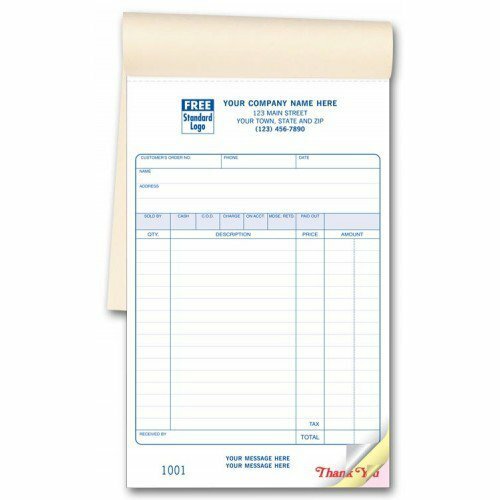 Brand: Calendars & More, Inc. | Manufacturer: Calendars & More, Inc.
Carbonless Custom Sales Invoice Books 55SW. This sales invoice is custom-designed for businesses - small as well as large - selling products/services. Take complete orders. Preprinted areas simplify write-ups of customer information, salesperson, description of items, payment method & more. Please note: Quantities are number of forms; not books. 50 per book. 17 Lines per form. Made with NCR paper, which is a type of coated paper designed to transfer information written on the front onto sheets beneath. 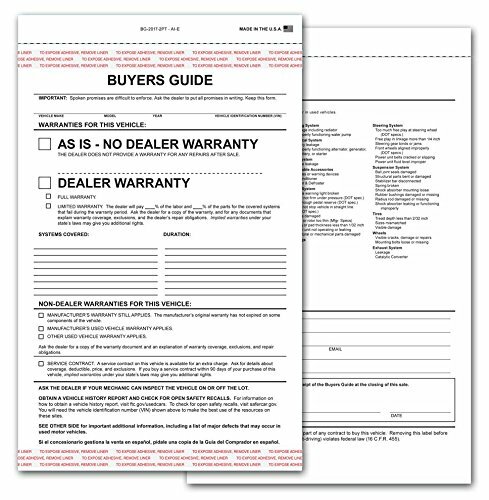 Our 2 part Buyers Guides have 2 check boxes for "As-Is No Warranty" or "Warranty". 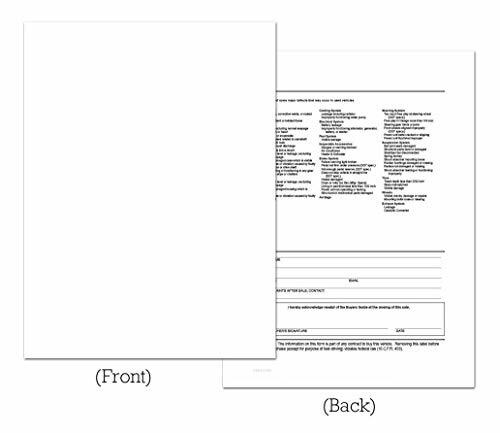 See second image for layout of back of form that has area for customer signature to acknowledge information on the Buyers Guide. Quantity is 100. 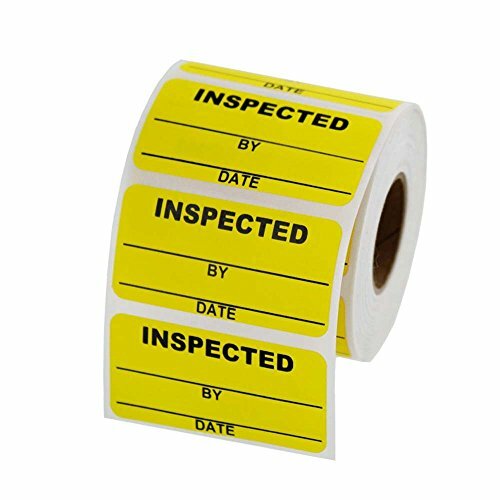 Inspected By - Date Inventory Labels are designed to help you better manage your inventory by ensuring the quality of your products. This inventory label is made with aggressive permanent adhesive with a service temperature ranging from -65 to 220 Fahrenheit. Peel n Seal 1-Part Buyers Guide with "Permanent Adhesive On All 4 Sides" to adhere to the inside of the vehicle window. Laser compatible for ease of use at car dealerships. Perforated to allow easy removal of buyers guide. 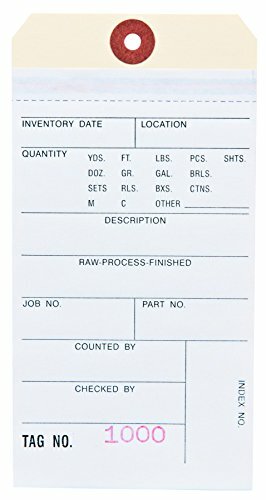 8-1/2" x 11" letter size paper. Fade resistant. Blank front. Back has standard buyers guide backer printed in Black ink. Compatible with Form #BG-2017-1PT-Backer - E. Packaged 100 per pack. 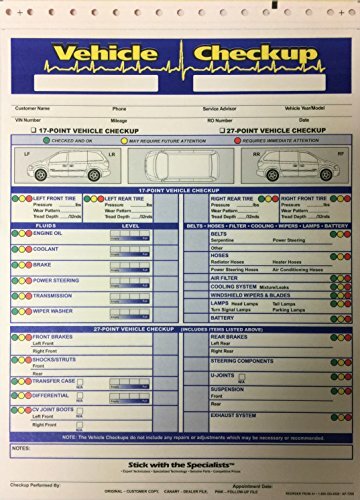 This 3 part vehicle checkup form is perfect for any generic inspection or automotive repair shop. 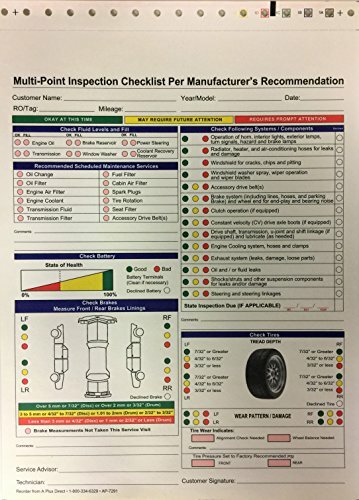 Multi-Point vehicle inspection checkups are the perfect way to indicate what was inspected and what may need to be repaired. Our quality 2 part carbonless Multi-Point Inspection Forms are perfect for communicating with your service customers! 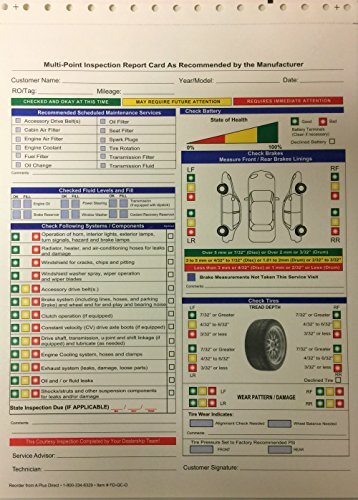 This generic form can be used for any make of vehicle - perfect for repair shops! 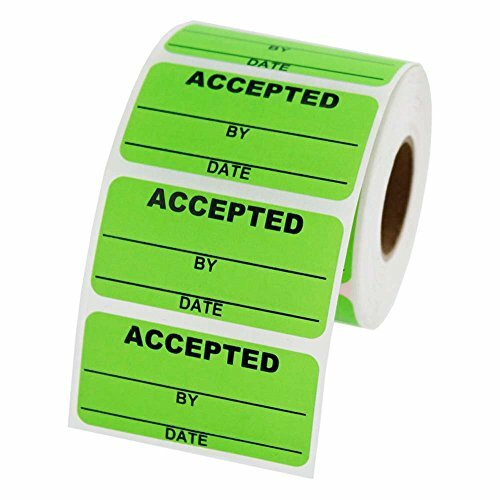 Accepted By - Date Inventory Labels are designed to help you better manage your inventory by ensuring the quality of your products. This inventory label is made with aggressive permanent adhesive with a service temperature ranging from -65 to 220 Fahrenheit. This listing is for one roll of 1,000 Consecutively numbered labels starting with 0001 and going up to 1,000. You can send us a message asking what start number you would like. Can add your Company Name/Website/Phone/ Etc. Marien Detailed Service Order Forms AUT0319. This Marine detailed service order form is the best answer to all your marine related paper-work. Easily identify inventoried contents with MACO Two-Part NCR Inventory Tags. 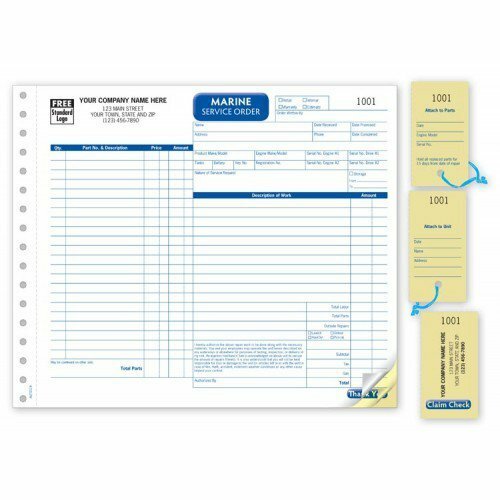 The pre-printed areas enable the writing of detailed information while the sequentially numbered tags #1000 - #1499 organize records clearly. These inventory tags feature a fiber patch reinforced 1/4 inch hole. 500 numbered tags per box. 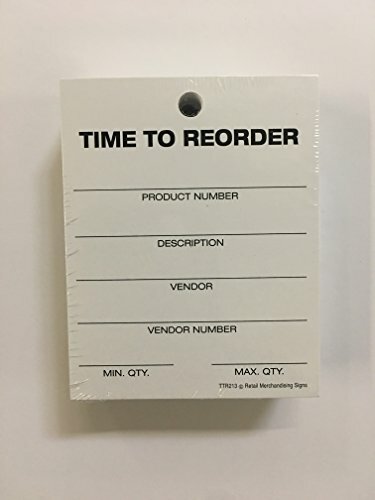 Additional MACO Two-Part NCR Inventory Tags are available which are numbered #0 - #499 (sku M15-300) and #500 - #999 (sku #M15-301). MACO has been providing quality products to the business community since 1916. Their office products truly offer a blank canvas for creative business solutions. 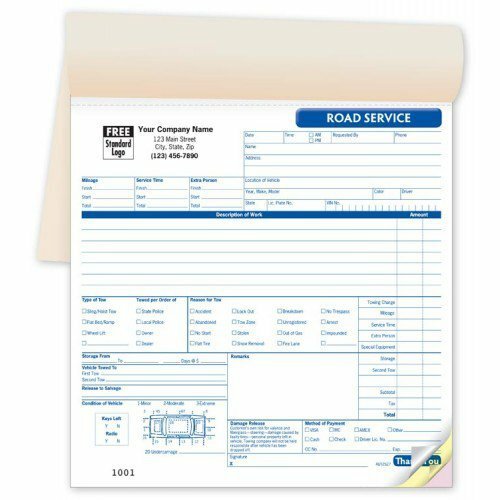 Brand: MACO | Manufacturer: Chartpak Inc.
Road Service Book AUT2527. Save time when you're on the road! Road Service/Towing forms capture all the important details such as vehicle information, mileage and more. Take complete orders. 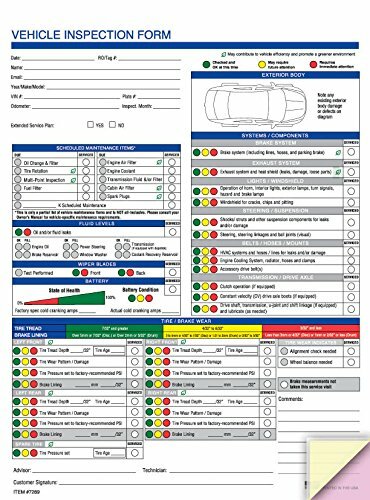 Preprinted areas for vehicle information, mileage and more. Get the details. Larger format gives you extra room, plus car diagram on front to report condition of vehicle. 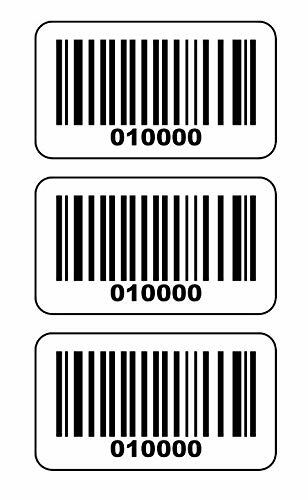 This listing is for one roll of 1,000 Consecutively numbered BAR CODE labels starting with 0001 and going up to 1,000. We will have other listings for the same product but with a different start number. Requisition On Parts Room form (Parts Requisition Form). This is the least expensive parts requisition available. Each pad has 100 sheets for easy processing. Contains fields for Date, Owner, Repair Order No, Make of Car, Model, Qty, Part No, Article, Price, Amount, Total, Ordered By, O.K., and Foreman. 4-1/4" x 6" 1-part form on Canary paper, printed in Black ink. Compatible with Form #27. Packaged 1 pad of 100. Requisition On Parts Room form (Parts Requisition Form). 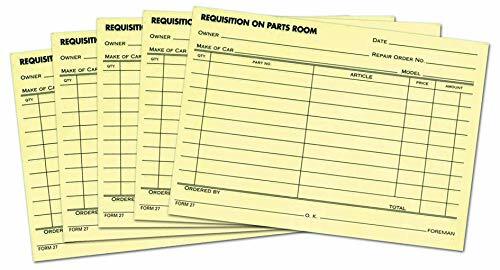 This is the least expensive parts requisition available. Each pad has 100 sheets for easy processing. 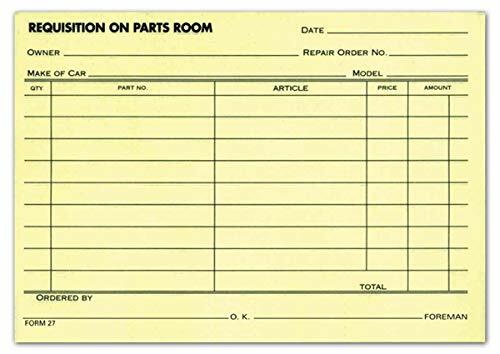 Contains fields for Date, Owner, Repair Order No, Make of Car, Model, Qty, Part No, Article, Price, Amount, Total, Ordered By, O.K., and Foreman. 4-1/4" x 6" 1-part form on Canary paper, printed in Black ink. Compatible with Form #27. Packaged 5 pads of 100 each.